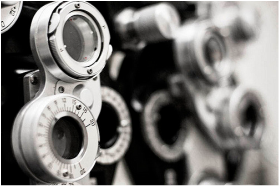 At Cloudbreak Eye Care, we have a wide array of diagnostic and treatment techniques to develop an individualized vision care plan optimized to meet the needs of each patient. 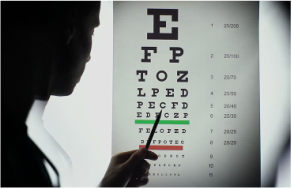 We value our patients as partners playing an active role in their vision health. Educating our patients so they understand their condition and treatment plan engages them to improve patient confidence and achieve better outcomes. We benchmark routine referrals to be seen within three month, and we expedite urgent referrals to be seen the same day or next day. We build lasting relationships through strong communication. Consult reports are faxed to your office on the same day we see your referral, and we are happy to provide timely and periodic update reports. After our specialists provide the appropriate care, patients are navigated back to your office for their ongoing care. We value the time of our patients and their families. Patient wait times may seem like a small part of the patient experience, but we understand that they can have a powerful effect on overall patient satisfaction and we have implemented effective strategies to identify bottleneck and reduce wait time. The majority of patient visits last from 45 – 90 mins from check-in to check-out. We strive to provide timely surgical care. Urgent glaucoma cases are managed within 24 hours, and routine cataract surgery is performed according to our cataract surgical waitlist. We recognize that our patients and their families have weekday commitments. We are pleased to provide some weekend appointments for laser procedures.